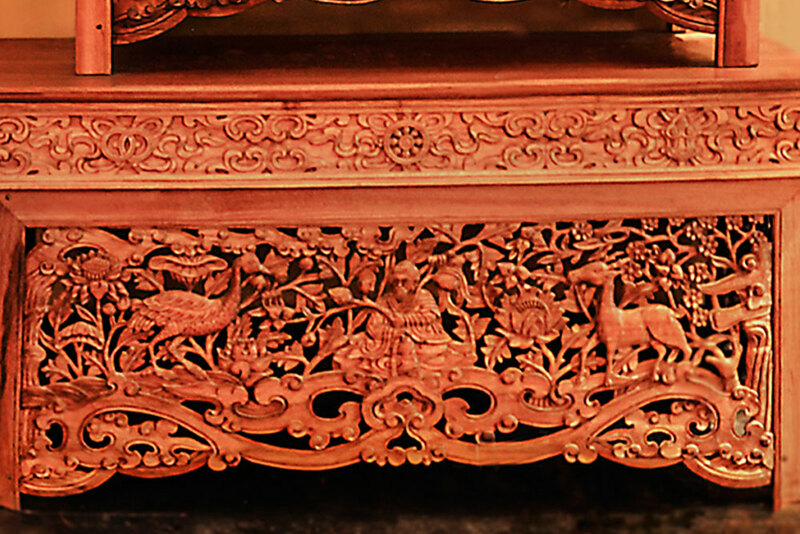 Wooden table carved with flora and fauna design. 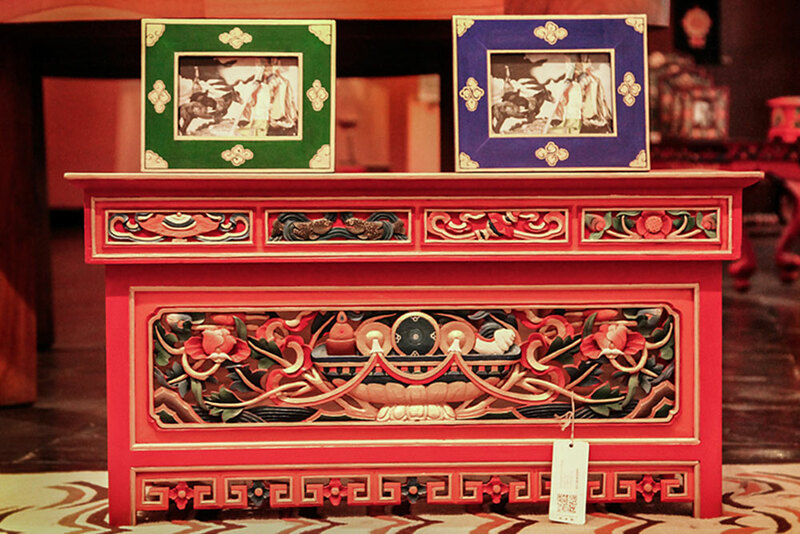 Table and photo frames carved with Tibetan motifs. Incense burner made of wood and colored by oil based colors. 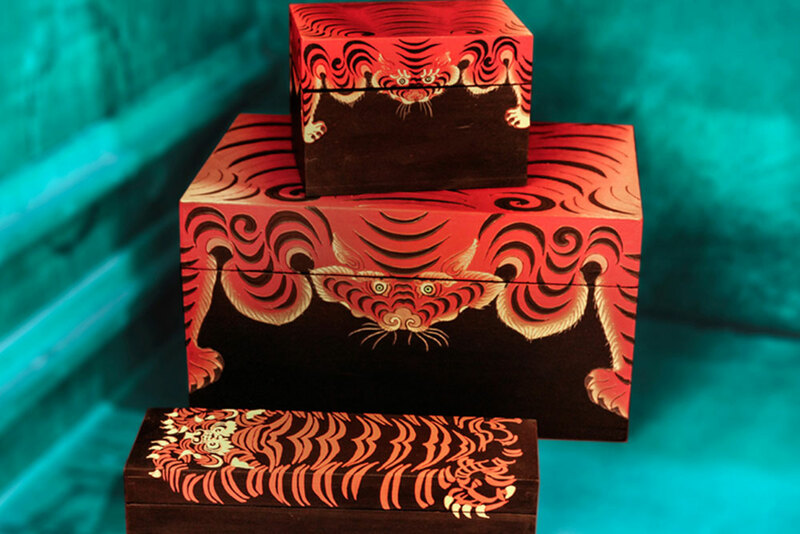 Set of wooden jewelry and pencil box painted with crouching tiger motif. 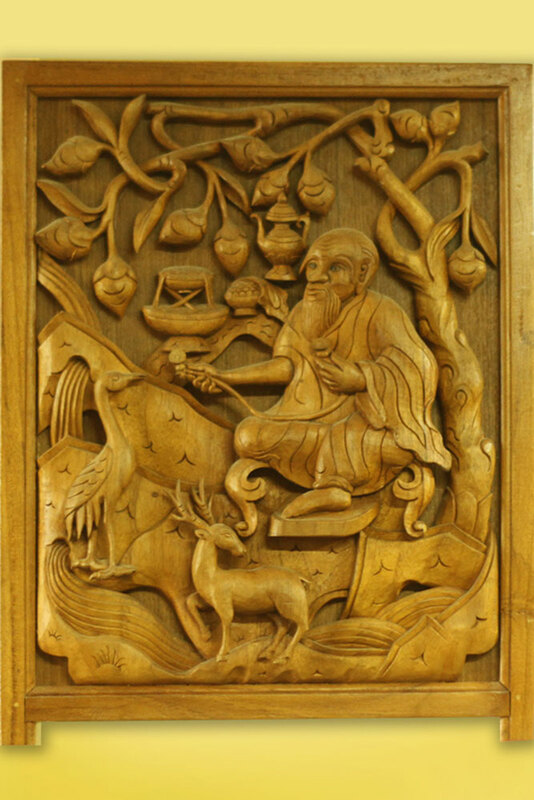 Wall hanging carved in wood depicting a saint in his habitat. 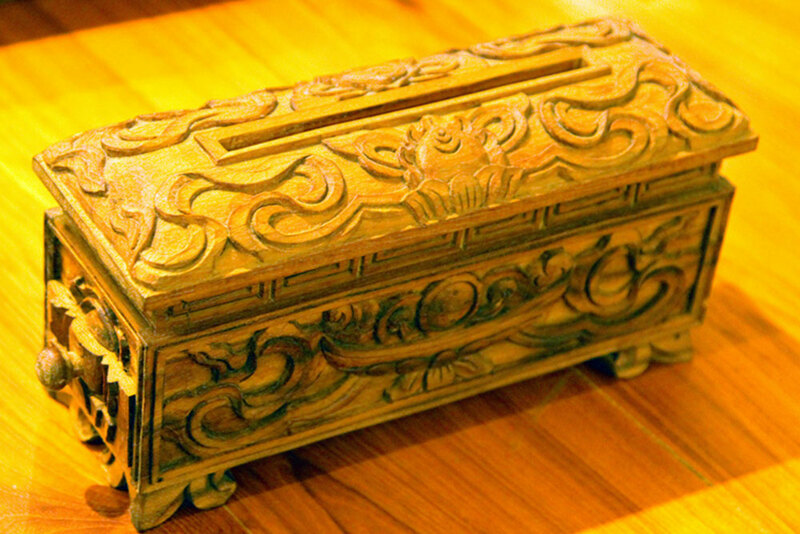 Incense burner carved with floral designs. 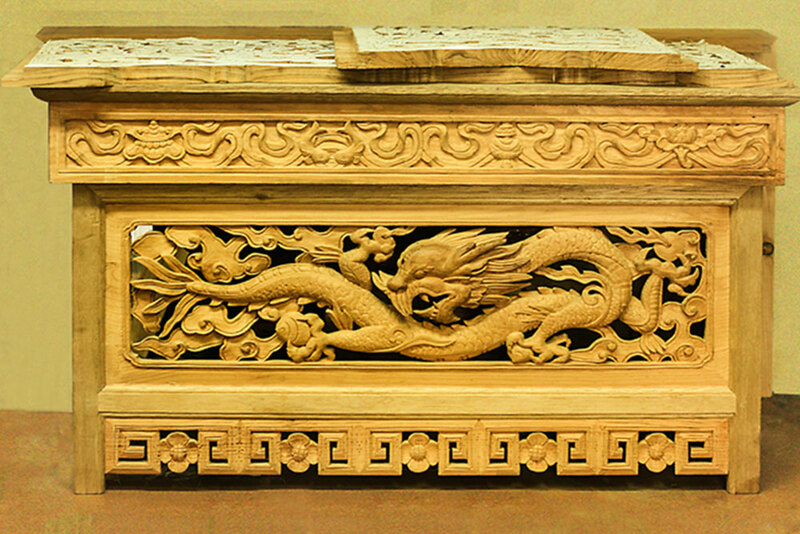 Wooden table carved with Chinese dragon motif. 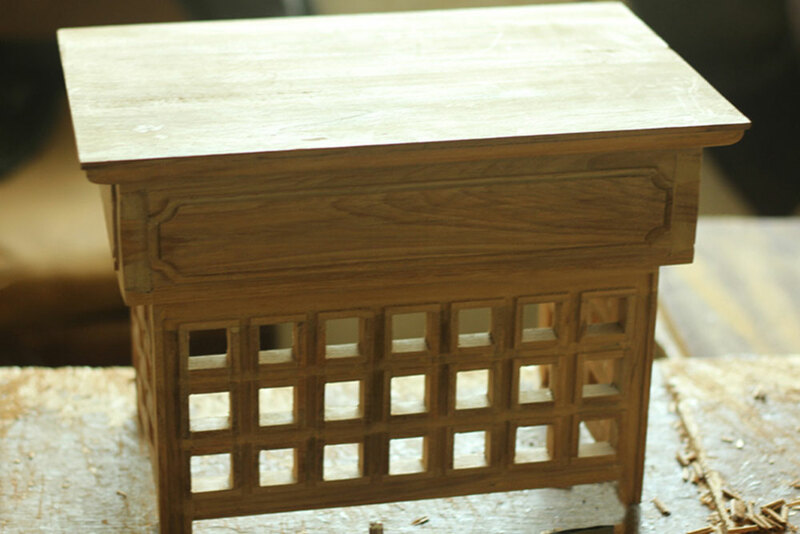 Small wooden table with window pattern design. 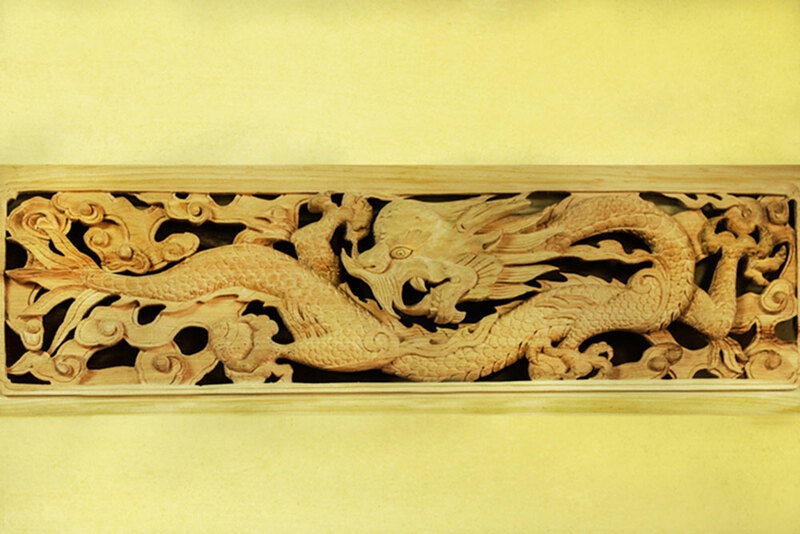 Wall decorative depicting Chinese dragon. 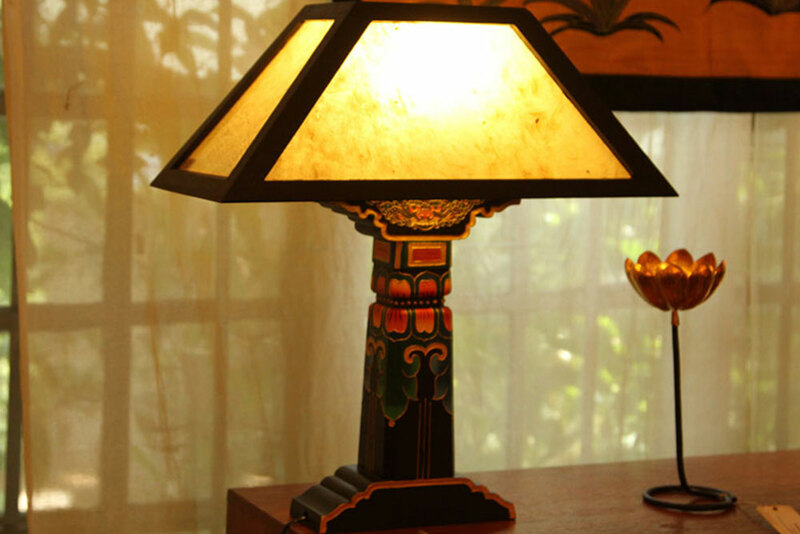 An electric lamp carved in wood with Tibetan motifs. Wooden replica of a Buddha temple. 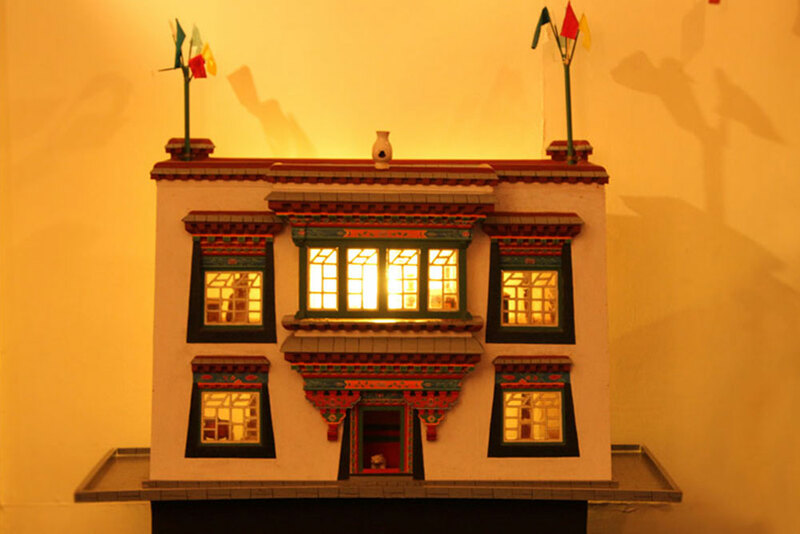 Norbulingka is a place in old Tibet and Norbulingka institute is located in northern Himachal Pradesh considered to be the traditional summer dwelling to Dalai Lamas success which serves as administrative and also as a religious center. 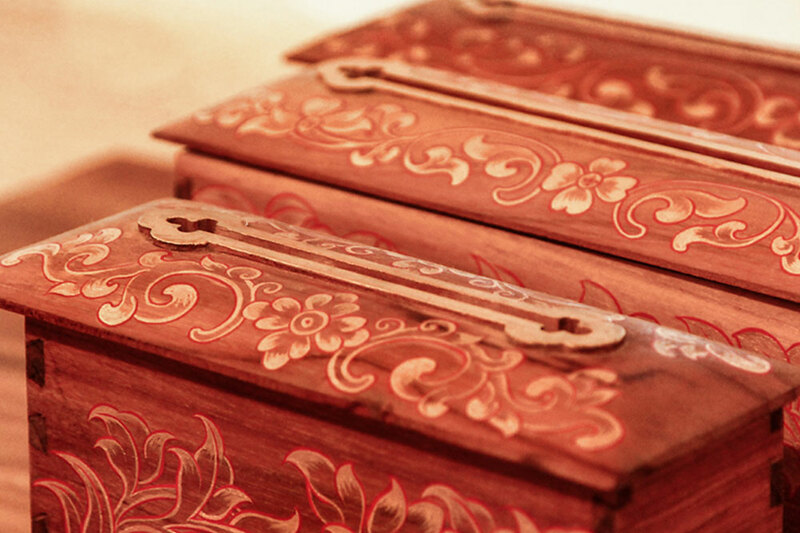 This institute provides a great support for teaching and training of the carving in wood with Tibetan motifs and inspirations. These carvings of the Tibetan is said to be developed from their masters and are transferred only to the students of this institute through a long training of about 13 years under the guidance of their teacher to transfer the art of this type of carving to them. 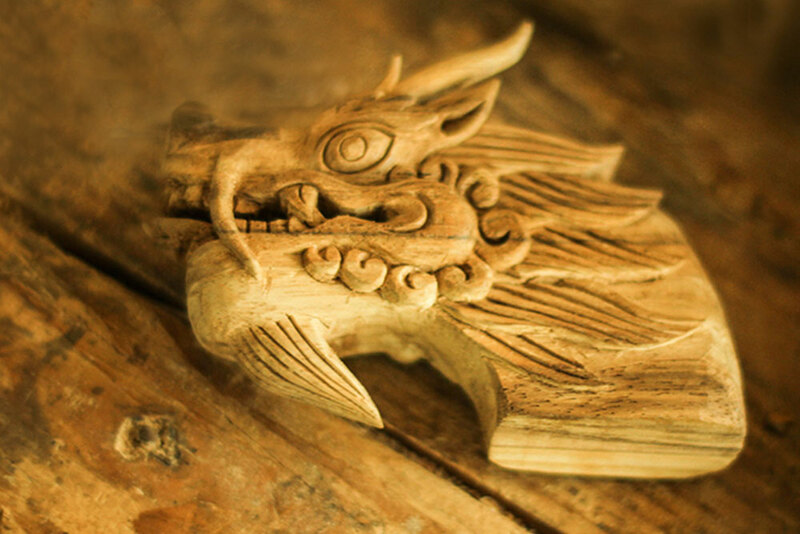 Woodcarving is a practice of folk art that empowers the local people to direct their culture through the motifs or abstractions which are usually based on nature, spiritual awareness or replication of patterns found in native flora and fauna.